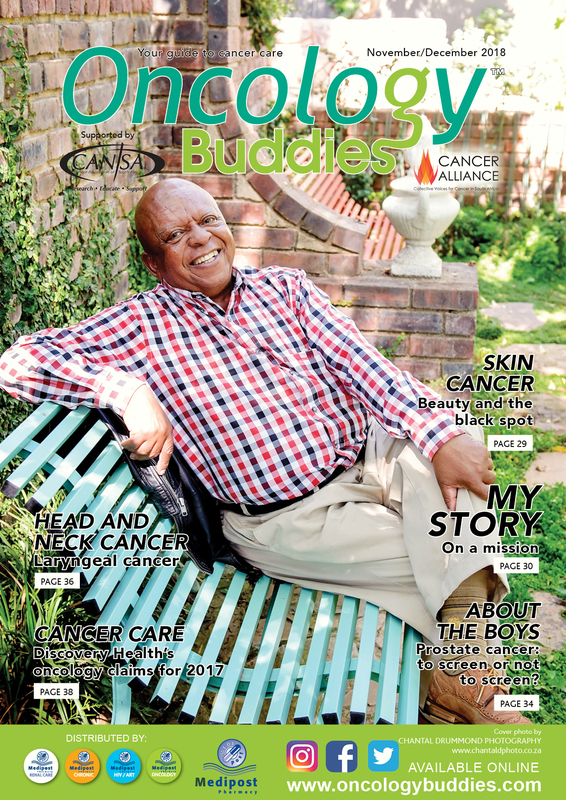 This issue of Buddies For Life is a gift of celebrating our Super Survivors; our oncologists and our ability to triumph over triple-negative breast cancers. 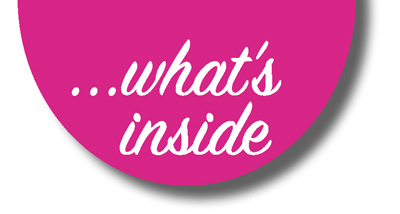 The stories told inspire and make one realise the tenacity of the spirit and body. While the navigation column helps you navigate this season safely. Please read Legal-ish and understand the difference between home-use and medicinal. This season, give back with time; careful communication and most of all love. 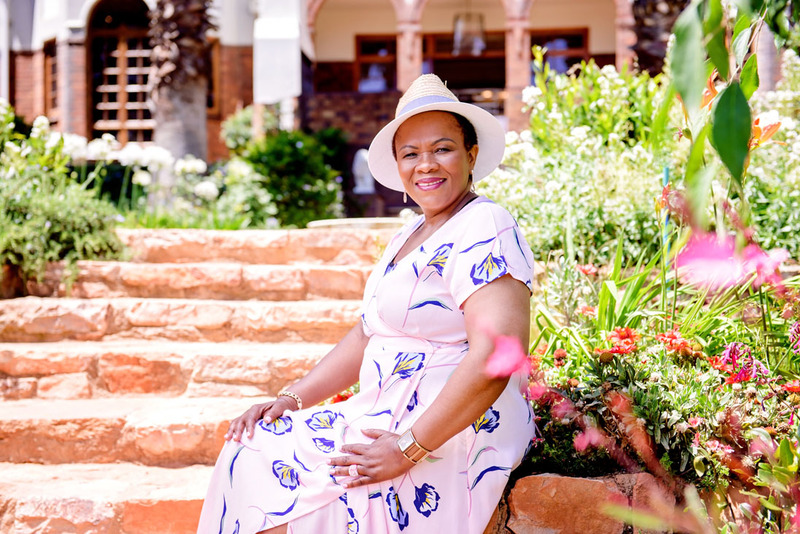 Thank you to Dr Sumayya Ebrahim at The Sanctuary for the use of your beautiful gardens. 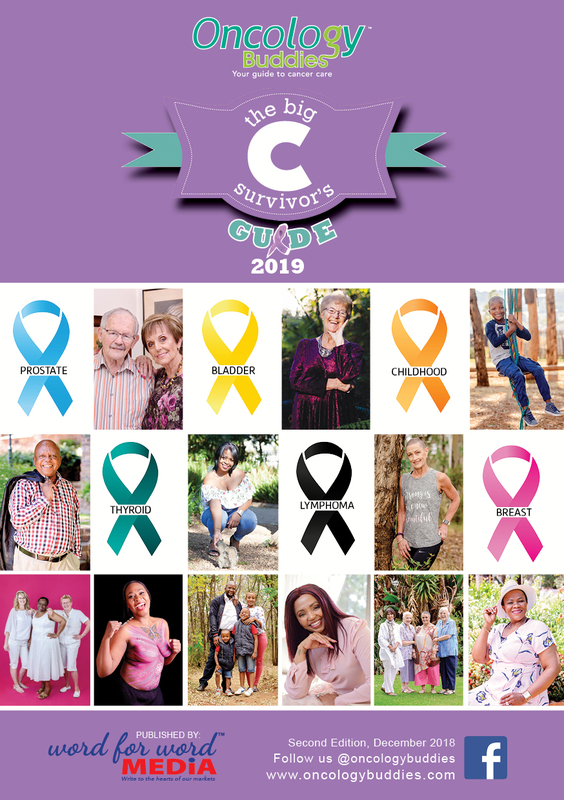 Click on the cover to view the latest issue of Oncology Buddies and the 2019 edition of the Big C Survivor’s Guide.